Global Prayers examines questions of redemption and liberation in the cities of the world. New religious practices permeate public spaces and the cultural scenes of these metropolises. Religious communities inscribe themselves into urban life acoustically, typographically, and architecturally. They generate their own aesthetics and forms of consumption. Urban studies as well as artistic productions have long viewed religion and urbanity as mutually exclusive. Global Prayers, in contrast, puts the case for just such reciprocal influences. 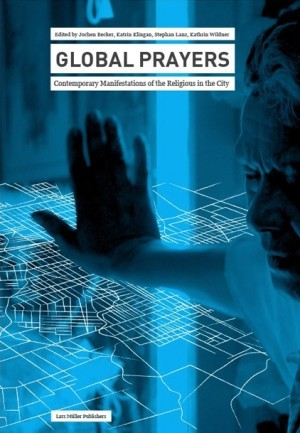 The publication is based on the work of an international network of researchers as well as artists, focusing on diverse urban assemblages and religious communities. The contributions record their movements and critically engage with them.